Continuum offers a variety of professional development trainings for both management and employee groups. Our training topics are tied to EAP expertise areas---Behavior Risk Management and Productivity. 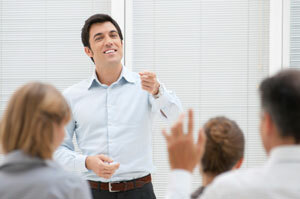 Effective training addresses and reinforces an organization’s goals, mission and values. We begin each training request with a Training Needs Assessment. Through this process we will examine your goals and desired outcomes for training and help you select a Continuum training that will best meet your needs.